If you wish to make a reservation just give us a call on 01223 363682 or visit our contact page. 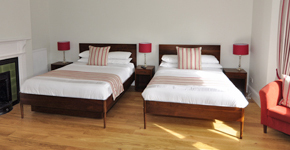 We are a family owned guest house situated in the centre of Cambridge, convenient for the transport links and an ideal base whether here on business or pleasure. Each of our 14 tastefully furnished en-suite rooms is fully equipped with Freeview television, free internet access and good quality complimentary toiletries for your stay. Each morning our chefs will cook you a sumptuous breakfast using local ingredients sourced from farm shops. We also cater for special dietary requirements. 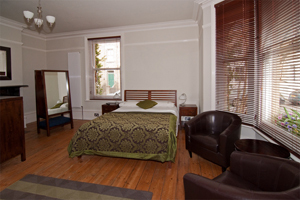 As a family owned guest house in the centre of Cambridge we are dedicated to providing our guests with excellent accommodation. Here at Warkworth House we have been operating for more than 35 years and are one of the largest guest houses in Cambridge to have been awarded the enjoyEngland 4 star Bed and Breakfast and Silver award rosettes. We are proud to hold our status and reputation amongst our competitors but still keep our home comforts and personal approach for our guest’s benefit. As we have had the same staff working with us throughout our 35 years we can ensure high class reliability and the finest guest house service possible. Our returning guests will see a familiar face when they walk through our doors and our new guests will experience their friendly manner and dedication to guest care. 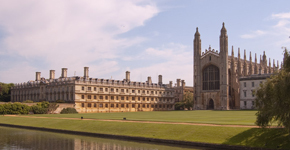 With 14 en-suite rooms of a varied size range you can find the room that suits your needs in one of Cambridge's finest guest houses. We have filled every room with the essentials needed to make your stay comfortable; a television, free internet access, tea and coffee making facilities and complimentary good quality toiletries. Our finishing touches will allow you to relax, enjoying your time visiting our beautiful city. 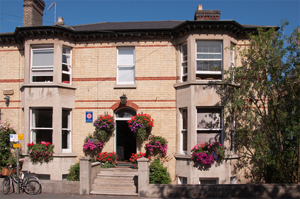 If you are looking for a comfortable stay in a location with loads to offer call us on 01223 363 682. "Absolutely fabulous! Decor and Location the best!" "Outstanding - beautifully presented - One of the best places I have stayed." "An amazing stay we were thoroughly spoilt!" "The breakfast was just perfect!" "Wonderful accommodation. Breakfasts to die for!" "Many thanks as always for the fantastic accommodation." "Another lovely stay, thank you." "Your facilities are wonderful and the breakfasts were simply delicious!" "Highly recommended, charming rooms, superb breakfasts, we'll be back!" "Wonderful stay as usual. All the comforts of home plus great hospitality."